As Autumn draws in, I definitely start moving away from light summery pasta and salads to stodgy comforting soups, pies and stews. 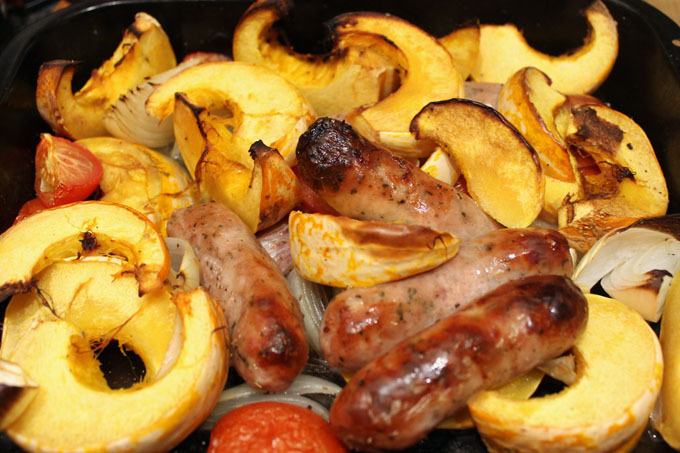 With the abundance of pumpkin in October, I put together this really easy traybake. It takes hardly any time to prepare and is really filling and satisfying without piling on the pounds. I used white onion in my recipe but I’d definitely say opt for a red onion, they’re sweet and delicious especially with the vinegar. 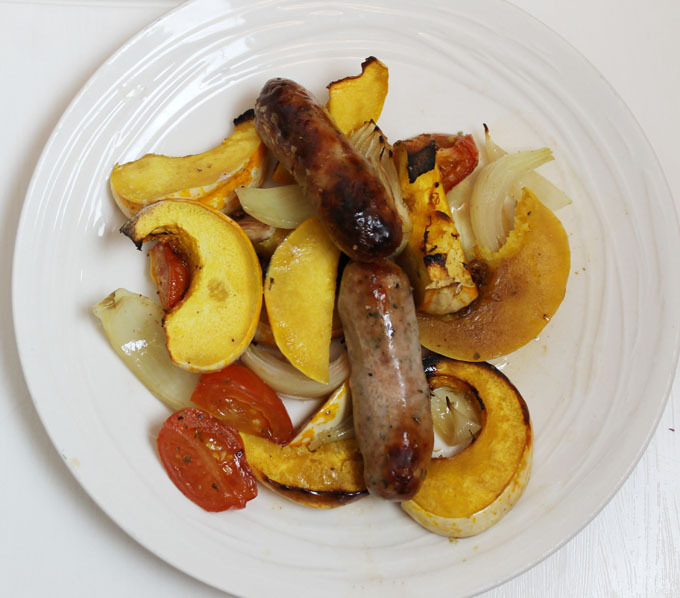 If you don’t have any pumpkin then a small squash could be used. Preheat oven to Gas Mark 6 /200C. 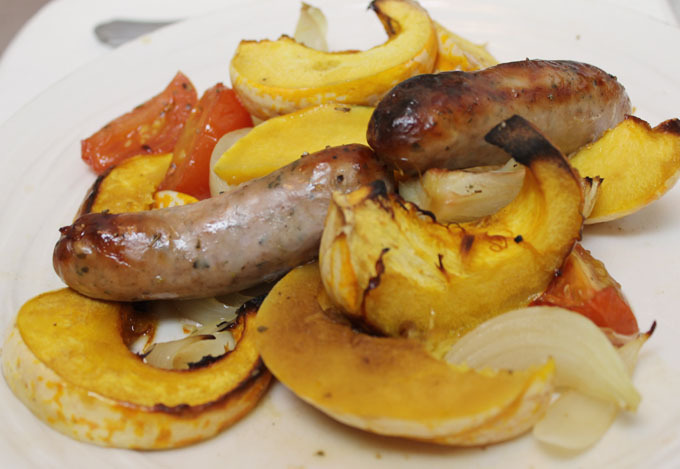 Add the sausages to a large roasting tin. Cut the tomatoes and onion into wedges and add those to the tray along with the cloves of garlic still in their skins. Cut the pumpkin in half and scoop out the seeds, then cut into slices. Add to the roasting tray then drizzle over the oil, vinegar and thyme. Season with salt and pepper and mix well with hands.